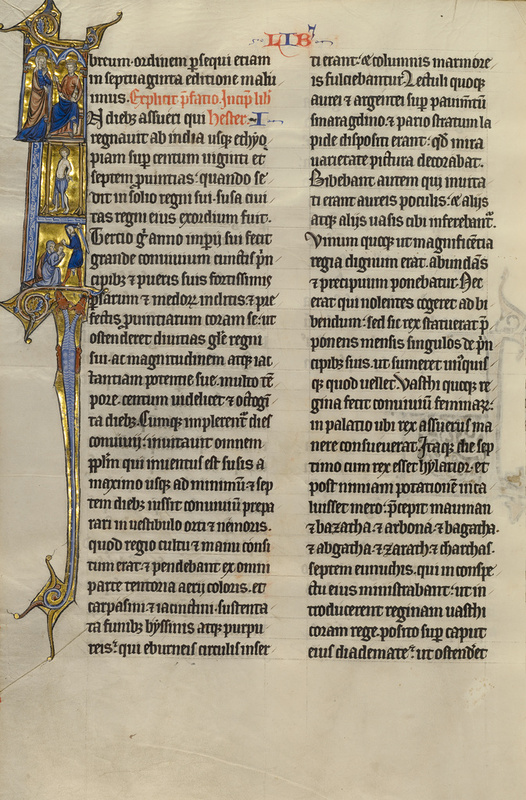 The initial I in the left margin of this page begins the biblical book of Esther. 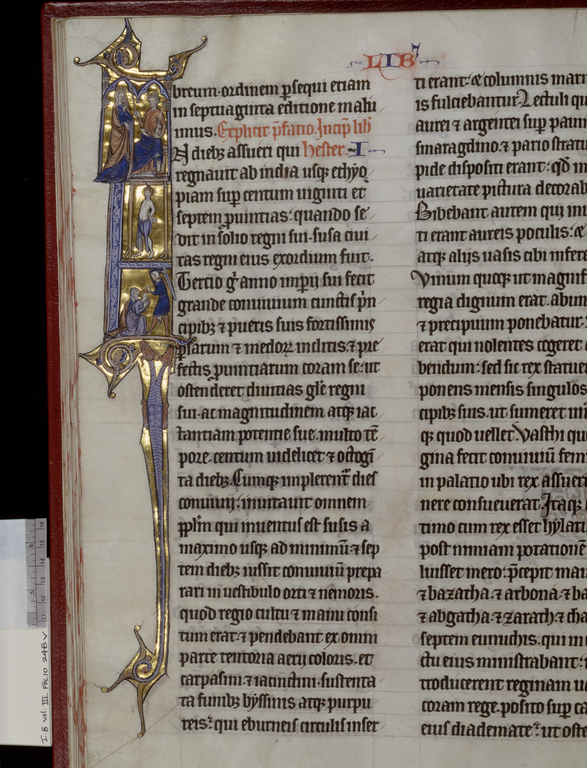 The scene at the top of the initial illustrates one of the key events in Esther's story. After she convinces her husband, King Ahasuerus, not to permit the slaughter of the Jews, he indicates his favor by raising his scepter. The middle scene is the hanging of Haman, the king's advisor who masterminded the plot to kill the Jews. The bottom scene is difficult to interpret but most probably represents the intended massacre. The illuminator emphasized the importance of the topmost scene through the architectural framework and by making the figures larger than those in the other scenes.